You must make reservations at least 5 minutes in advance of the time at Glyndon Grill. From the owners of Barrett's Grill at the Hunt Valley Towne Centre, Glyndon Grill will operate with a different menu and chef than Barrett's but will also focus on in-house, made-from-scratch preparations. Garlic butter, Havarti, sliced baguette. Roasted red pepper, grilled Serrano pepper hummus, Naan bread, fresh cucumbers. Sauteed and finished with champagne cream sauce, served with buttered toast. Chef's selections topping a freshly baked flatbread crust. Marinated mushroom caps stuffed with jumbo lump crab imperial. Jumbo lump crab dip in a melting pot of cheeses, served with crisp baked crostini. Three grilled lollipop lamb chops with a balsamic glaze. Crispy greens, candied cashews, crumbled Maytag bleu cheese, raspberry vinaigrette. Romaine, cherry tomatoes, Parmesan cheese, housemade croutons, creamy Caesar. Field greens, spiced pecans, goat cheese, carrots, tomatoes, housemade croutons, house dressing. Blackened jumbo shrimp, fresh berries, mango, Mandarin oranges, on greens tossed with citrus vinaigrette, with Brie cheese, red onions and toasted almonds. Flash-seared, sashimi grade sesame seed crusted ahi tuna, cilantro/ginger vinaigrette, mixed field greens, julienne red onions, ripe mango, avocado. Filet beef tips, mixed greens, housemade croutons, red onion, grape tomatoes, Asian pear, smoked Gouda, honey-sesame vinaigrette. Grilled chicken, chopped kale, peanut vinaigrette, cabbage, mint, parmesan, chopped peanuts. Romaine lettuce, roasted corn, tomatoes, housemade croutons, cheddar jack cheese, crispy chicken, buttermilk herb dressing. Yellow and red beets, crisp greens, arugula, fresh mozzarella, candied cashews, champagne vinaigrette. Canadian bacon, cheddar, chopped yellow onion, hickory BBQ sauce, toasted brioche bun. Lightly blackened, grilled fish, lettuce, red onions, tomato, chef's special dressing, toasted brioche bun. Thin-sliced prime rib, gruyere, baguette roll, mayo, au jus, horseradish sauce. BBQ breast, cheddar, bacon, mayonnaise, lettuce, tomato and onion on brioche bun. Egg, bacon, mayo, American cheese, lettuce, tomato, sauteed onions on brioche bun. Corned beef on toasted rye, Swiss cheese, sauerkraut, adobe dressing. New England "hot dog" roll, fresh shucked lobster and shrimp, delicate herb mayo. Marinated salmon filet, medium-well, whole grain mustard sauce, chef's vegetable. Lightly seasoned lamb, grilled and topped with cabernet wine sauce, with chef's vegetable. Oven roasted herb crusted half chicken, chef's vegetable. Black Angus, au jus, horseradish sauce, chef's vegetable. 12 oz Black Angus, chef's vegetable. Fresh from the garden, a medley of chargrilled vegetables (no side). Full rack baby back pork ribs, BBQ sauce, french fries. Over a half pound of jumbo lump crab cakes, french fries. Fish of the day, chef's featured sauce, chef's vegetable. Grilled chicken tossed in a vodka cream and crushed red pepper sauce served over penne pasta. Grilled chicken, penne pasta, sundried tomatoes, basil pesto cream sauce. Sauteed shrimp, mussels, calamari, garlic, shallots, parsley, white wine butter sauce. Penne, broccoli, cauliflower, and carrots with a garlic Parmesan cream sauce. We had a wonderful evening - food and service were excellent. Thank for dining with us. We appreciate your review and recommendation. The food is always great here. But the service and issues seem to be more inconsistent since the new management took over. Last night we asked if there was still a fish sandwich as it wasn’t on the menu, but we thought we overheard someone else order. Our waiter told us no. Then a little while later the person near us had a fish sandwich brought out. Then my wife had ordered the small plate crab balls for $9. The waiter came out and told us that the menu was old and they didn’t have that any more. But they could make it but it would be $13. The crab balls had an old fishy taste. Thank you for taking the time to provide honest feedback. The service you received is not at all in keeping with our standards and I sincerely apologize. We ABSOLUTELY could have made the sandwich and as for the old menu, that is an oversight and I will remedy that immediately - additionally we should have honored that price. Please call me at the restaurant and I will make amends. If you have an issue in the restaurant, please ask to see the manager and we will fix it on the spot. Debra - Thank you for the review and recommendation. Glad to hear. Thank you for the review and for the recommendation. We had not changed anything on the Burger Night menu for 4 years. We thought (as well as many of our guests) that it was in dire need of e reboot. I am so happy to hear you like it. Thanks for sharing. Randy - Thank you for your review and recommendation. Glyndon Grill gets better each time I eat there. The kale salad was amazing, the garlic mashed potatoes delicious, salmon was done to perfection. Our server was attentive and cheery, perfect! Thank you so much for the review and recommendation. We are always striving to improve. We are very fortunate to have some amazing people here from our kitchen staff to front of the house. I will be sure to share this with them - it will make their day! Dinner was amazing one of the best meals we’ve had out in quite a while. Service was great our waitress was very friendly and very helpful with helping us make our selections. I would highly recommend!! Thank you for the review and recommendation. I am so glad to hear your enjoyed everything. We love taking care of our guests. Can't wait to see you again, soon. Attentive and pleasant server. Food was delicious and plentiful . Eager to return. Thank you for your review and recommendation. Looking forward to seeing you on your next visit. We went to the Glyndon Grill and had a wonderful time. We just stopped by for dessert. We had the amazing carrot cake (warm, great texture, easily the best carrot cake either of us has ever had) and the not so appealing espresso creme brulee (that had more of a pudding texture with burnt sugar on top but the fresh fruit and homemade whipped cream was great). The waiter & staff were very friendly and attentive and we look forward to returning to this restaurant to experience more of the menu soon. Thank for dining with us and for the nice review. 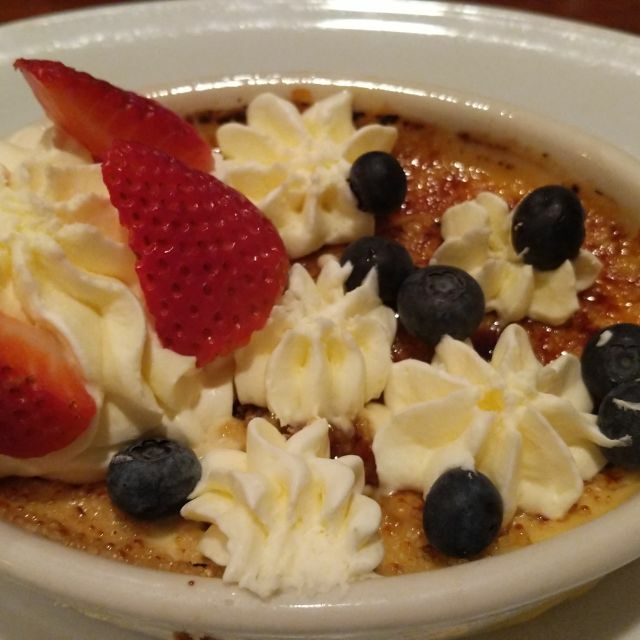 I am sorry you did not care for the creme brule, but happy that the other dessert were to your liking and that you enjoyed our service. That carrot cake really is out of this world! Thanks you for dining with us and for your continued support and patronage. What a delightful restaurant to enjoy lunch with a friend! Calm atmosphere, great service, & delicious food are the perfect setting to relax and chat with a friend! Thank you for choosing Glyndon Grill. I am so glad to hear you enjoyed lunch here. We appreciate the review and hope to see you again soon. We still love the Glyndon Grill and highly recommend for a great meal or a place to meet friends for a drink. We are disappointed, however, that they did away with $8 burger night on Thursdays. They now have a build-your-burger menu on Thursdays that does not represent a real discount and is confusing at best. The burger and all the food is still of the finest quality, but why get rid of an obvious customer favorite. There used to be a line out the door on Thursdays, this week it was maybe 3/4 full. Can you say "the New Coke." Bob - Glad to hear you are still a fan and would recommend us. We have been getting some pretty positive feedback on our Burger Night. We had not changed anything in over 4 years and received a lot of requests for new and different options. We do our best offer variety, great food and great service. We held the price steady for over 4 years. You can still get a great burger for $10 or customize your own, or choose one of our new creations. We Also added a "Chef's Choice." Thank you. Salmon the best. Would like ahi tuna better if grilled hot on outside and rare inside. Thank you dining with us and so glad to hear you enjoyed our Burger Night and the Slamon. Thank you for the feedback regarding the Tuna. Also, thank you for the review and recommendation. We appreciate it very much. The food is excellent. I love the quaintness of the place. I keep coming back because the food was soooo good. Thank you for dining with us and for your review. Disappointed in The filet mignon and the broccoli wasn’t cooked all the way. I have to say my kale salad was excellent always is. We eat at the grill often I have always enjoyed my meal there but the filet mignon was not worth the money. I’m sorry I’m just putting it out there. Yes, but don't order the chicken. Overcooked. It should not have been served. Louis - Thank you for letting me know about the chicken. I am so sorry that we served it overcooked. Did you by any chance let your server or a manger know. It is always our goal to satisfy our guests and if there is ever an issue, to rectify it right away. Please call me at the restaurant. I would like to make amends to you. Welcome here regularly with friends and family. It is just the right fit for a casual but quality meal. Thank you for dining with us on a regular basis. We appreciate the recommendation. Thanks for letting us know about the seating. We do our best to accommodate seating request but Friday and Saturday's can't get a bit hairy. Glad to see you enjoyed the food and service. Thank you for dining with us and for the review. Thank you for dining with. On your next visit, please let us know where you would prefer to sit and we will happily accommodate. Our waitress Haile was wonderful! The food and service excellent. Thank you for choosing Glyndon Grill and for your review. Pretty nice place will stop back again. Burger was excellent and so was the crab soup. Thank you for choosing Glyndon Grill. Sal is indeed awesome. We appreciate the review. It felt like we were eating in a dining hall at a college dorm. The lights were super bright and everyone was jammed into a small room. Sorry to hear you didn't like the seating or lighting. In the future, please let us know and we will gladly find you a table more to your liking and adjust the lights for you. We are very responsive to our guests needs and strive to provide not only great food and service, but also a warm and cozy environment. It was snowing so it was a very quiet evening. Food & service amazing!! Service was slow. Food was not good at all. I ordered the special .chicken was very dry and had no flavor. Very disappointing. I am sorry to hear you did not enjoy you experience last night. I would like to make it up to you. Please call me at the restaurant and ask for the General Manger and I will be happy to make amends. our party of 4 was seated promptly, waiter was personable. The food, however, wasn't up to the standard we had expected. appetizers were good - entrees were warm, not hot when they arrived, and to be candid, I thought that mine (chef special, chicken breast served over angel hair, marsala) was just OK.
Desserts were good; peach cobbler was well-prepared, but not served warm enough to melt ice cream. creme brûlée was very good. overall, the meals were fair, not great. Thank you for the feedback. We are always looking to improve and offer new and innovative dishes. Sorry to hear this one wasn't great. Next time in, ask fo a manger and we'll make sure everything is piping hot and exceptional. This was our first visit to The Glyndon Grill since moving into the area. We were a little disappointed with the table (right outside the kitchen, next to the servers station and right in the main path between front and rear dining areas so there was a lot of traffic back and forth). Otherwise we enjoyed the experience - our waitress was very pleasant, the atmosphere was cordial, service was good and fast, and the food was very good. It is a bit expensive for what you get (moderate portion size, no bread was served or offered). With tip, my wife and I spent $100 for dinner, desert, and coffee (and I had a beer). But overall a good experience. We will be back and recommend the Glyndon Grill for a nice dinner when in the area. Thank you for the review. Next time in, please let us know if you would prefer a different table. We always strive to exceed expectations. We do have rolls available on request, so please feel free to ask on your next visit. Glad to hear you overall had a good experience - we'll shoot for a 5 star review next time! Great place at a reasonable price. Thank you, James. We appreciate the review and look forward to seeing you again, soon. Always a wonderful experience all around. We went to Glyndon Grill expecting to have hamburgers because Thursday is burger night. However, this Thursday, Glyndon decided to extend Restaurant Week in Balto. Countuy. Because I couldn't see what restaurant week had to do with burger night, I asked to speak to the manager. His explanation was not logical. I paraphrase, because restaurant week has special items on the menu, it would be too difficult to also have burger night which required special items. The kitchen would be happy to prepare a burger from the menu, but would not honor the special prices offered with the burgers. This explanation was illogical to me. The three of us debated whether or leave, but couldn't decide where to go. What I ordered was the french dip sandwich which was barely warm and rather skimpy. My friend enjoyed her salad. Needless to say we were very disappointed. Had we known, we would not have gone there. Our server was very good. Thank you for the feedback. I am sorry the explanation did not make sense. When we present additional menus, we may not be able to offer our traditional Burger Night menu. This really has to do with ensuring our kitchen can deliver high quality dishes. When offering addition menu choices, we want to make sure our culinary team does not get overloaded. I'm sorry you didn't like the French Dip. On your next visit ask for me, John Linderman and I will make it up to you. Always the best atmosphere, food and top notch service. We went on a Monday night which is Music Night. John and Chay were there and they were awesome. Songs from the Beatles, Eagles, etc. The food was delicious and our waiter was awesome. Definitely recommend the French Dip. Food and atmosphere were very good. Service was terrible and so SLOW! It took us over 20 minutes just to be served our initial drinks. We asked for water to go along with our bar drinks, which were not served. We had to ask 2 additional times for water before we finally received it. A lunch of soup and sandwiches for 3 people took 2 hours! I expect better service when spending $90 for a soup and sandwich lunch for 3. This was our first time at Glyndon Grill — we chose to sit at the bar and had a lovely dinner with drinks. Judy was our server; she is lovely and efficient.... made us feel right at home. We both enjoyed our dinners ... I had a fried chicken salad and my husband had a chicken club. We don’t live too far and we’re in need of a non-chain new neighborhood restaurant. We will definitely be back! Glyndon Grill was a very pleasant dining experience with very good food! I’ve enjoyed Glyndon Grill on multiple occasions, and tonight was no different! 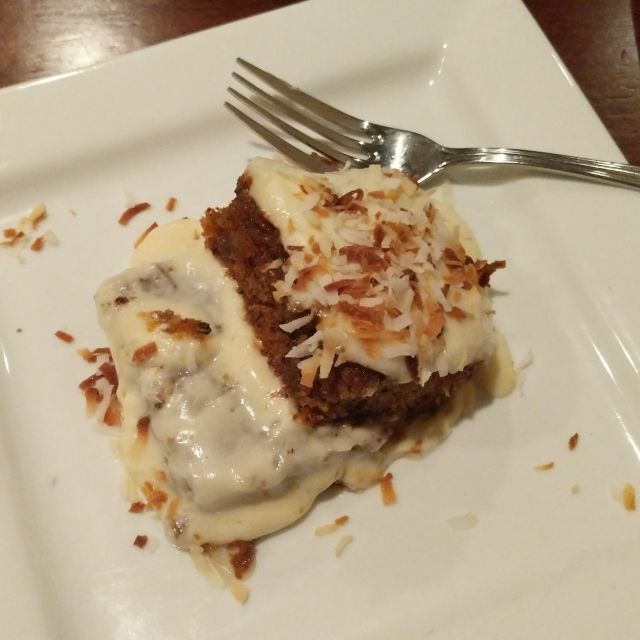 Whether you are having an intimate dinner for two, dinner with your kids, a rowdy group of friends, or a party for 20, Glyndon Grill knocks it out of the park. The food is consistently delicious, the service is outstanding, and the value let’s you leave with no guilt! I highly recommend planning your next meal out with Glyndon Grill. Although disappointed that the rack of lamb wasn’t on the menu I had what I consider to be the best chicken pot pie I’ve ever had in a resturant. My capanions enjoyed their salmon and the lobster roll was superb for all but a little more mayo than necessary. As good if not better than any we’ve had in Boston. The best was our server Kate, a pleasant and expert waitress. Always near when needed but never obtrusive. Great neighborhood place.